If your answers are Yes then you’ve come to the right place! Friendship Troubles - this one is great for figuring out how to deal with interpersonal relationships. 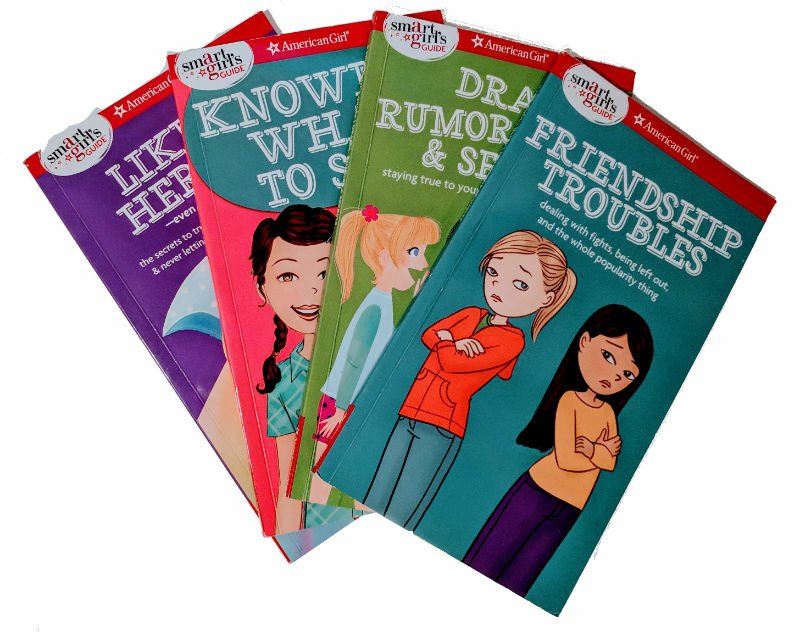 Drama, Rumors & Secrets - this one helps us deal with gossip and schoolyard scuttlebutt. Knowing What to Say - this is great for those times when you can’t just call someone a rude name. Liking Herself - this one is full of useful info, but it doesn’t make a distinction between being shy or sad and just needing some me-time. It’s OK to want to be by yourself sometimes! Stand Up for Yourself and Your Friends - helps you deal with bullies and mean people.